In the past year, Huawei E5186 4G LTE CPE becomes well-known because it’s the world’s first LTE Category 6 wireless router for LTE-Advanced network with carrier aggregation technology. And till now, there is no newer model to be released from the Chinese manufacturer Huawei. Actually, there was a model which was released even before Huawei E5186. The model number is Huawei E5175, which is also a LTE Cat6 wireless router for the latest LTE networks. However, the Huawei E5175 is not presented at Huawei official site. We don’t know why, and as we know, many Huawei mobile broadbands are not listed there. So we can’t find the official specifications for Huawei E5175. But we can find the technical specifications somewhere. Like its predecessors, Huawei E5175 is in flat design, it can stand on desk. 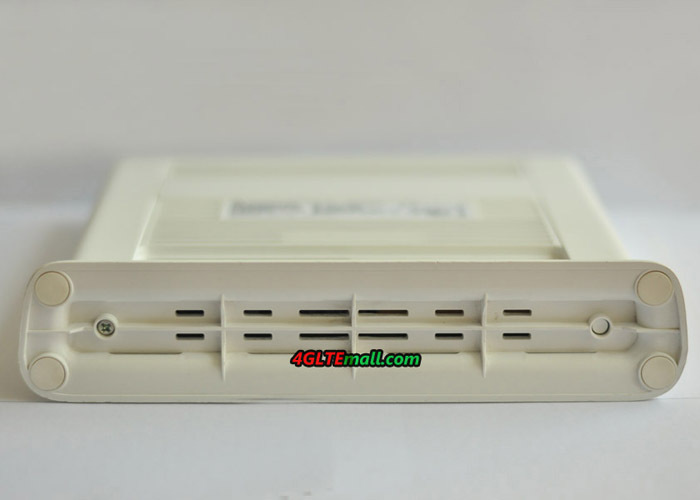 The top front are the LED indicators for Power, Network mode, WiFi, Voice, Signal. And the Huawei logo is at the right side. 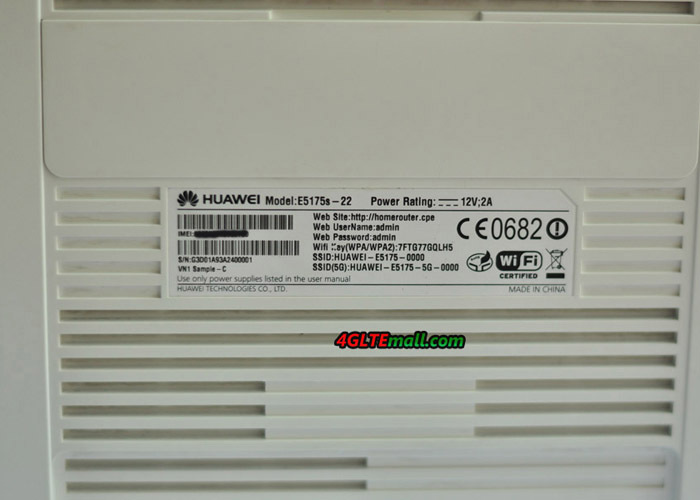 On the back of the CPE E5175, there is a label which show many information about the device such as the model number (Huawei E5175s-22), Power Rating (12V, 2A), IMEI number, S/N number, Web site (http://homerouter.cpe), Web user name and password, SSID and WiFi key. 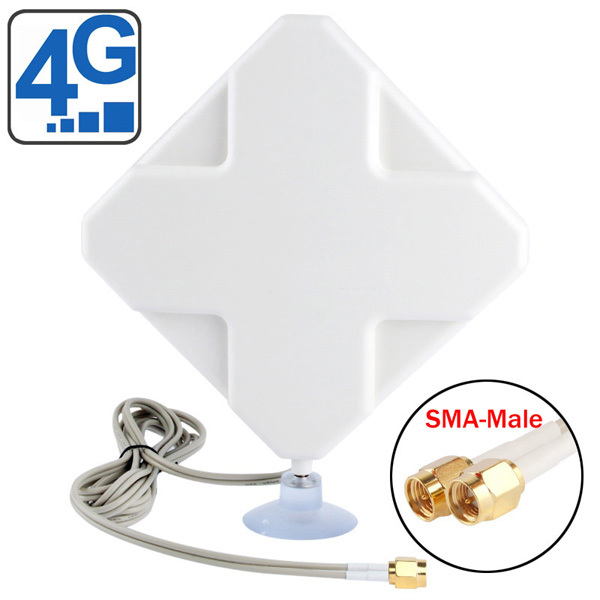 Above the label, there is a plastic cover which could be open and below it, there are two connections for external antennas. The connector type is SMA. At the below side of the label, the interfaces are listed in a line. There are 4 RJ45 LAN ports, 2 RJ22 telephone interface, 1 USB host interface, 1 power plug hole and 1 power button(on/off). And on the back of the E5175, the body has many vents for heat radiation. At the bottom of the router, there are also many vents for this. The Huawei E5175 can work with SIM card directly. The SIM card slot is at the side body. Open the cap on the sim card slot, user can insert a valid SIM card. 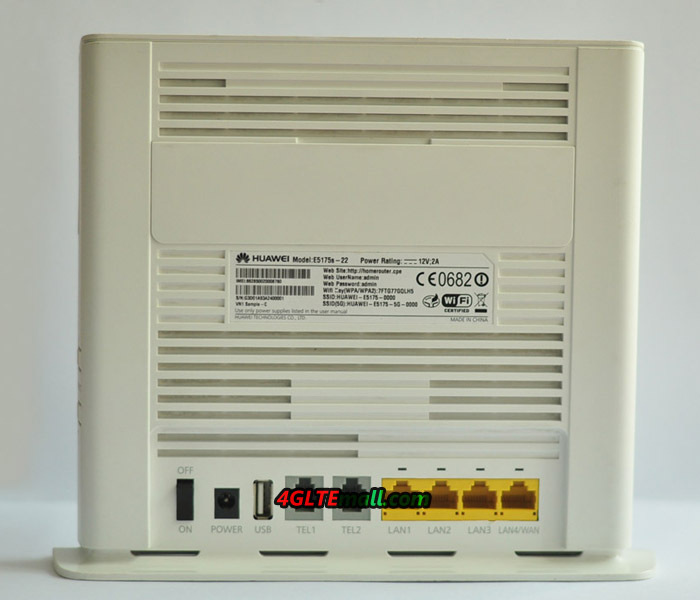 After power on, user can get connected with wireless network. Below the SIM card slot, the WPS and WiFi buttons are there. Between them is the hole to reset the Huawei E5175 to factory default. 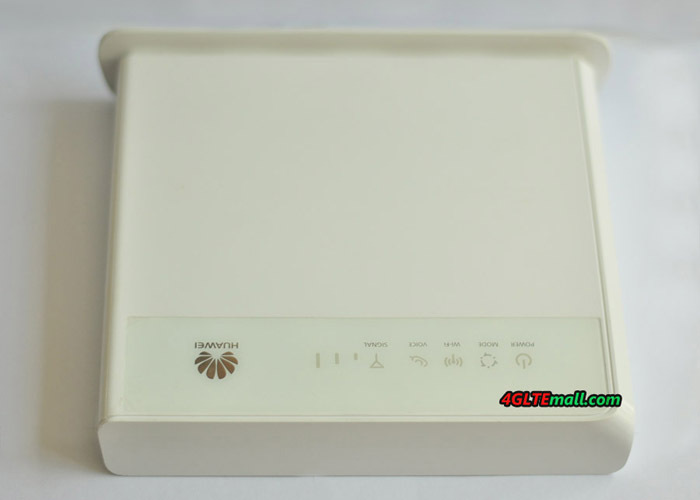 From the appearance and interfaces, the Huawei E5175 is very similar to Huawei E5186 Router. We will take a test next time to see which one could provide faster wireless network. 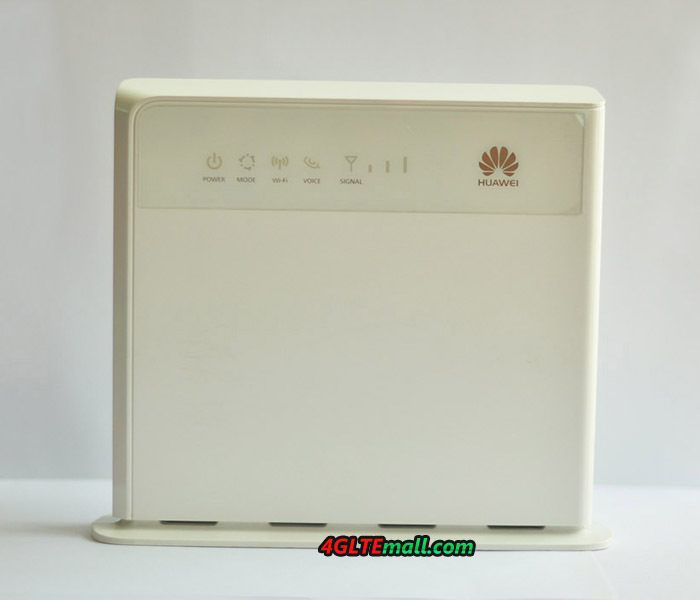 But from the specifications, Huawei E5175 is a good router which could work on 4G LTE/3G UMTS/2G GSM networks. Up to 64 wireless users could get connected with Huawei E5175. The most important is that it can achieve peak download speed to 300Mbps and upload speed to 50Mbps. Currenlty, there is few 4G routers which could support such high speed connection. If you are looking for a LTE Router with the latest technology supporting LTE-advanced network, Huawei E5175 is a trustful one to consider.